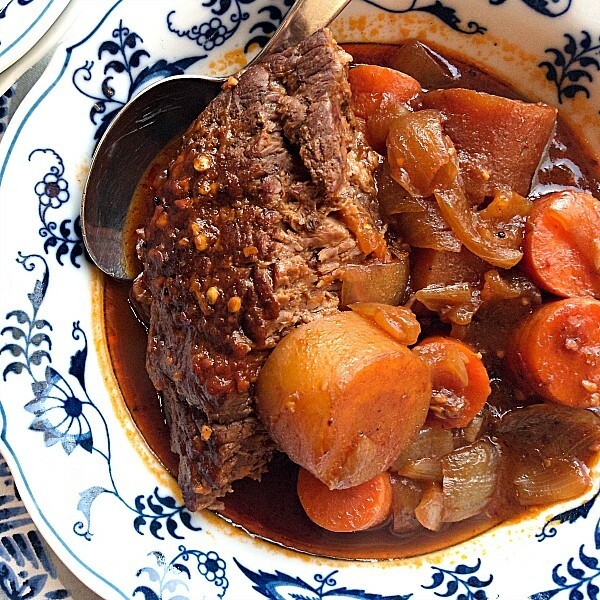 This Guinness Beer Beef Chuck Roast Recipe is braised in a rich sauce with onions and carrots. After baking for 3 hours, it’s tender and ready to serve! WATCH THE VIDEO! 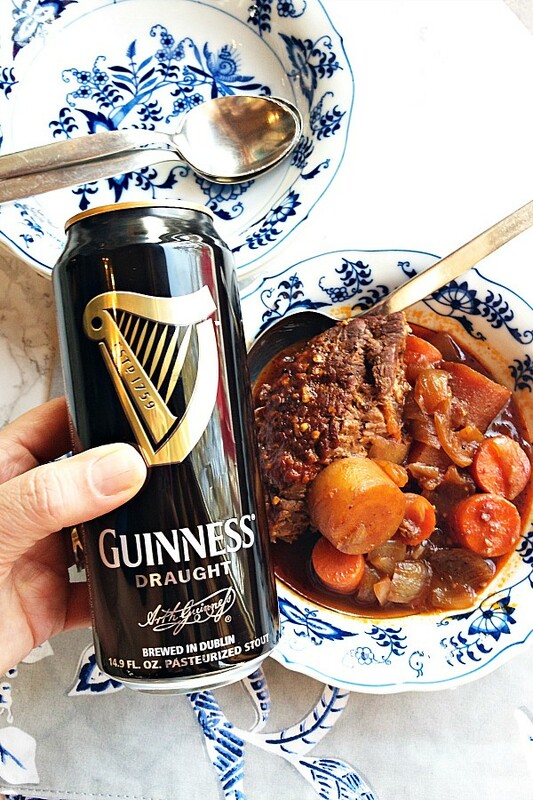 With this Guinness Beer Beef Chuck Roast Recipe today, I think of Ireland (and cooking for St. Patricks Day), a place that is dear to my husband and my hearts, with fond memories of our visit to Dublin a few years back. 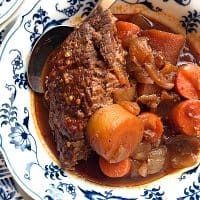 What is beef chuck roast? 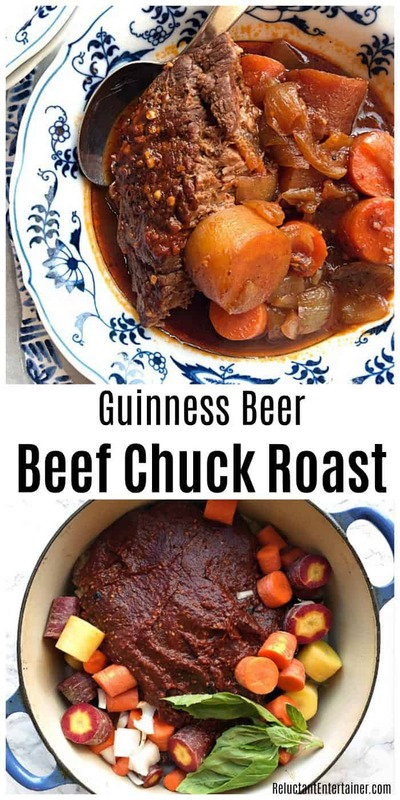 Beef Chuck Roast is a thick cut of beef sold as a “7-bone roast” or “chuck roast,” and is usually cooked with liquid as a pot roast. You can buy a bone-in chuck roast, a more economical cut of beef. Every cut of meat is always different, so make sure and check to make sure for doneness, but it should be tender when done cooking! 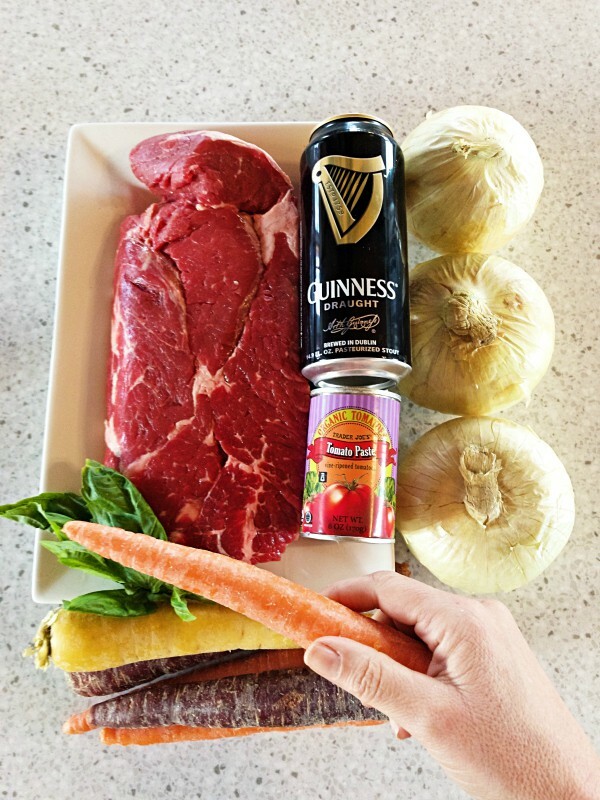 Our family enjoyed this Guinness Beer Beef Chuck Roast Recipe earlier this week, a simple recipe that only takes a few minutes to prepare. There’s nothing better than a “Sunday roast” cooked with carrots and onions! Feel free to add in potatoes, too! 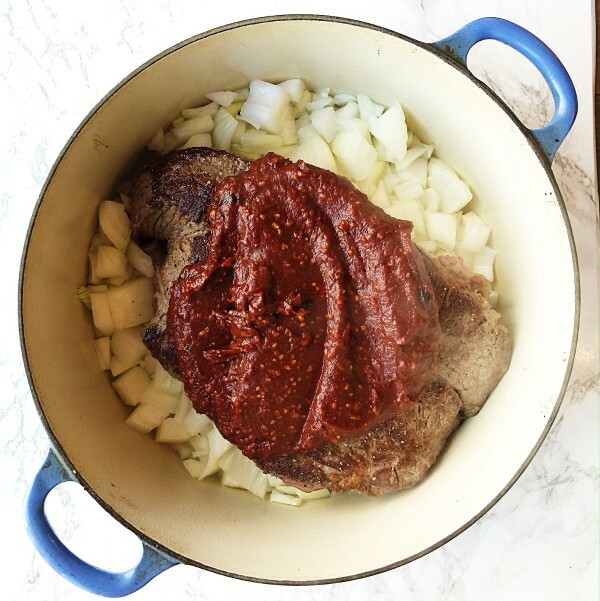 What’s the best way to cook a chuck roast? Brown the meat on all sides; heavily salt and pepper both sides. Mix water the tomato paste, instant coffee, and chili flakes. Mix well. Chop the onions, and place in the bottom of a Dutch oven. Place the cooked piece of meat on top. Spread the paste on top of the meat. Add fresh herbs for additional flavor. Cover with the lid of the casserole/Dutch oven and simmer very gently on stove (very low heat) until the meat is tender (toward the end of 3-4 hours, *make sure there is enough liquid). 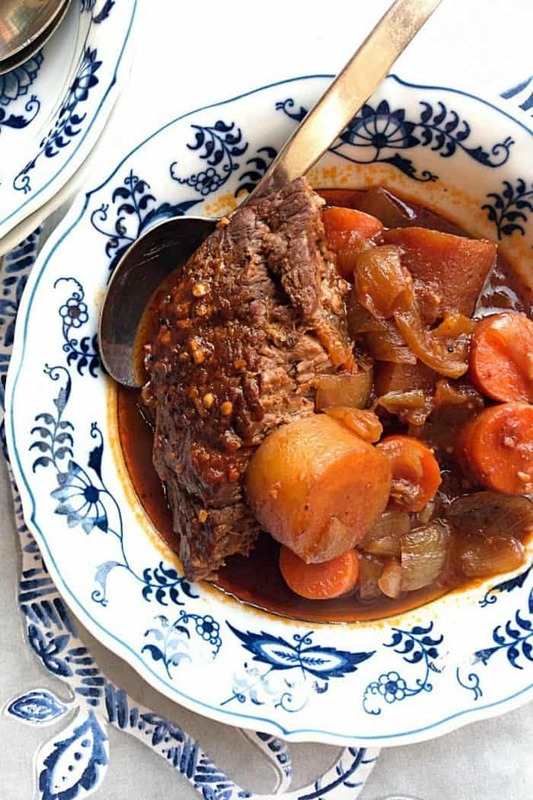 Can you cook a chuck roast in a slow cooker? Cook in the crock pot on HI for 3-4 hours until tender. Put in the oven at 300 degrees F, and walk away (but make sure to check toward the ending of baking or on the stove top, if you need to add more liquid!). Bake for about 3-4 hours (or until tender). Always check to see if you need to add more stock! 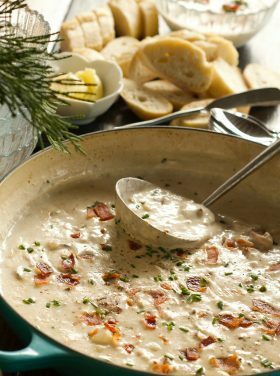 A rich sauce, with lovely espresso and Guinness beer, it truly reminds us of the Irish. A reality for my husband, with his deep roots, served up on our dinner table, talked about, and shared with our kids. Back to reality, we find that daily, since we both work from home, it’s important to get out of those same 4 walls we’ve been staring at. 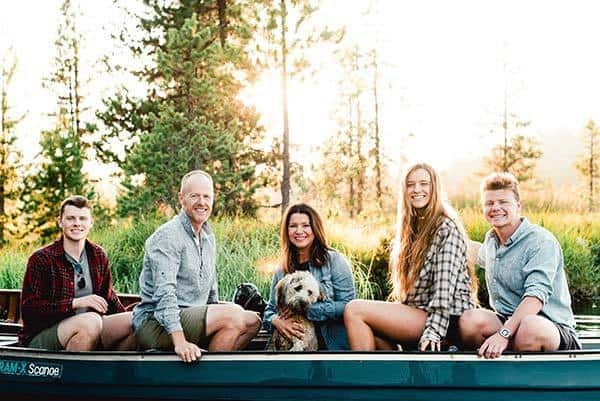 We’re not in Dublin (where Paul’s parents immigrated from), even though we hope to visit there again one day, but we’re home here in central Oregon. We drive to the city, put on our snowshoes, walk down by the river, take a hike to the mountains—places that are unfamiliar to us. It’s all new, the rhythm and sounds, backdrops of blue and white nature. It does something new to our souls, freshens our spirits, and revives our dreams and goals. We find ourselves praying more, with more quiet in our lives. The impossibles have a lighter spirit of possible, and this is important. Paul and I have always been big dreamers. When we stare up into the sky (night skies are fabulous here! ), it not only makes us think of our mortality, but it makes us dream big. The fullness of life, the here and now. The closeness with our kids, our church, and our growing community. It makes me take a quick breath, and then a sigh. Thank you God, for today! I am a huge fan of my Le Creuset Dutch Oven, Kitchenaid multi-cooker and Instant Pot. 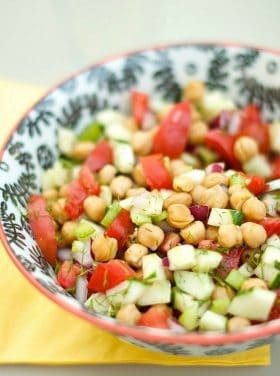 All three are incredibly useful for these kinds of recipes and many more! Just signed up to the Reluctant Entertaininer….have not cooked a one of the recipes yet. I am just salivating looking at all the wonderful pictures of several recipes to try. 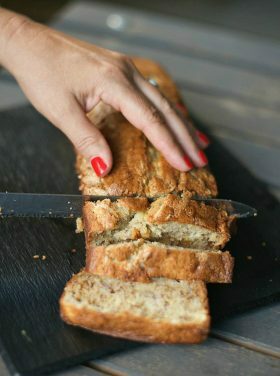 Don’t know why but, this Recipe site feels like an old friend; comforting and inviting. Thanks for sharing your love of food. Can’t wait to try many of these eye-catching dishes…I haven’t been this excited about cooking in a long time. In a word – EXCELLENT! Will definitely do this again. 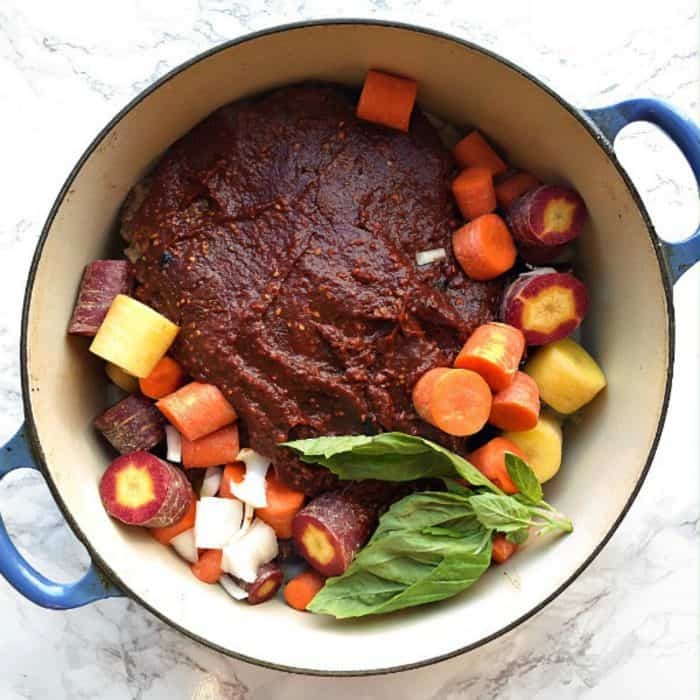 I’m a huge fan of roast and the flavors with this are amazing! 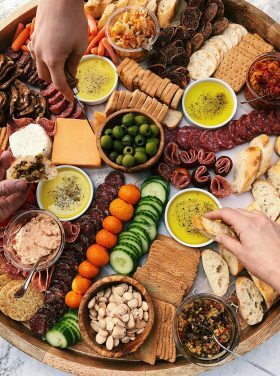 This dinner looks seriously delicious! I love your plating too! Talk about the best sunday dinner ever! Oh my! My house full of men will love this! Comfort food!!! Love this dinner. Delicious recipe that made a wonderful beef and barley soup with leftovers the next day. I have heard that Guinness Beer isn’t as good in the USA as it is in Ireland. is this true? It’s true. I’ve had it both places. 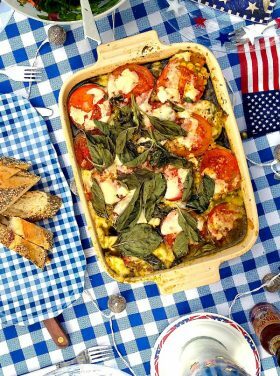 But it’s still good in USA and we buy it (great to cook with). 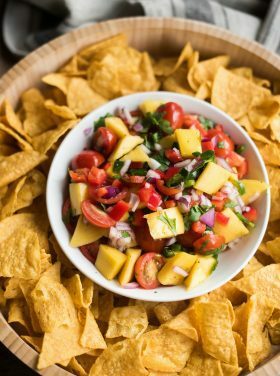 Have you had a chance to try this in the Instant Pot??? Not yet. It’s on my list to try! This was absolute deliciousness! Will definitely make this again. So moist and flavourful!! I’m trying this with a pork roast! Something different instead of the traditional sauerkraut! I’m cooking in a slow cooker on low. Mashed potatoes and pork gravy on the side. I’ll let you know how it turns out! Hi sorry typing error , can I cook this in instant pot pressure cooker . Hi Cowan I cook this in instant pot pressure cooker ?? Have you cooked this in an instapot yet? If so, how long and any special tips? Thank you for sharing the recipe. We added Brussel sprouts and served over rice and enjoyed it. Happy we have leftovers for tomorrow. I replaced carrots with mini potatoes, but otherwise did everything exactly according to the recipe. After 3.5 hours the meat is quite pink (which I dig) and tough (not so much) and the potatoes aren’t cooked. I’m guessing it will need a minimum of 4.5 hours on high..
Do Not cook in Crock pot. It will not be as nice of a flavor. Tried it on the stove and the in the crock pit. And it was not as well flavored. What can I add in the end if there isn’t enough liquid . More beer or water ? Hi. I do not drink beer, i am just wondering what it taste like. I would really like to try this, just scared about the beer. Thanks. The beer makes it delicious, Florence, but you could always use more stock! 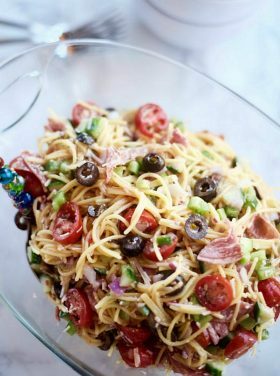 Making this for dinner tonight, excited to try it! Thanks for the recipe Sandy. Sorry there so many mutants out there with ridiculous questions. I just followed the recipe and it’s on the stove top in a Dutch oven for 3 more hours. House smells great too. Will let you know how it came out.